We are a British company with very British values. Situated in Aldridge, a historic town in the heart of England famed for its rich history of clay and brick production, we thrive to keep local craftsmanship alive. Our team of time-served craftsmen utilise skills passed down by generations to make beautiful bathroom products from wood, clay and other natural materials. 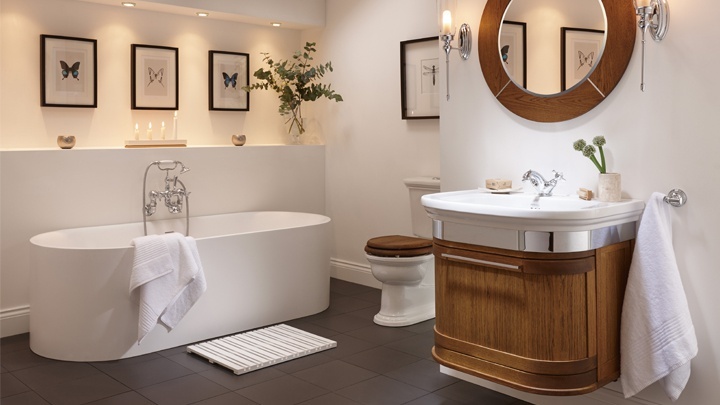 For added piece of mind, all of our ceramic ware carries a lifetime quality guarantee, so you can enjoy your new Imperial bathroom suite safe in the knowledge that it will last for many years to come. Our collections are for those who truly recognise British-made quality and individuality when they see it. The kind of hand-crafted perfection that no mere machine alone can truly replicate. These are just a few examples of the way Imperial is showcasing the very finest British traditions of quality around the world. And as for the way our bathrooms look, well, we are delighted.